It has been 14 years since Barcelona Sporting Club, the marquee team from Guayaquil, Ecuador, last won the league. Fourteen years of struggle, bad coaching, political in-fighting, and fan disappointment. 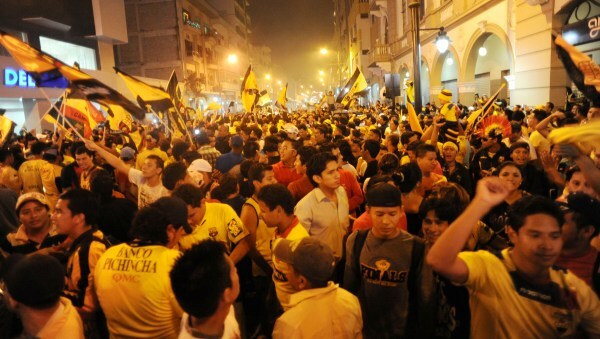 But it all ended yesterday when they were crowned champions of Ecuador, unleashing celebrations all over the country. Barcelona had come to be dominated in recent years by the other big clubs in the country, such as LDU Quito and arch-rivals Emelec. Since 2011, however, the ownership by businessman Antonio Noboa and management by Zubielda, who built the team, and Gustavo Costas, who brought out the best in players like new-comer Narciso Mina, forged a unique understanding with the players that transcended to results on the pitch. Let's not forget that Barcelona SC is quite a popular club even though it has seen an extensive trophy-less stretch. They average 25,000 fans for home games and 15,000 for away games. No easy feat in any country. The "Toreros," as they are called, have seen their share of scrutiny and, at times, downright dislike by the national soccer media and the upper echelons of Ecuador soccer officials. There is a certain "Quito tilt" to soccer coverage in the country and the club has been able to break that barrier with this win. As a child, I grew up watching this team week in and week out since most of my family were big fans of the squad. I, however, preferred certain other teams, for which I was often scolded. The derby matches I attended, the great "Clasico del Astillero," always fulfilled in its display of passion on and off the field. As fate would have it, my team almost always won, but I was happy to attend the Estadio Monumental in all its glory and watch the waves of yellow run up and down the general attendance stands. I admit that, deep down, I still hurt from Barcelona's win over Emelec in the 1989 Libertadores. So every time my team wins it is simply another attempt to make up for that loss--until they meet again in continental play. In the end, I am happy for friends and family that have seen their dream come true, have cried with goals of glory, taken to the streets to celebrate, painted 9 de Octubre yellow and shown the country once and for all who really is the idol: Barcelona. 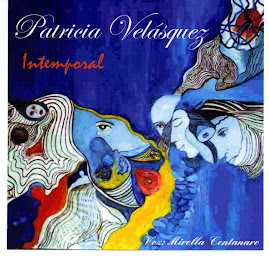 I dedicate this post to the great Mauro Velasquez Villacis and Javier Velasquez Villacis. I would like to thank the latter for his guidance in writing this piece and the former for inspiration in being a soccer fan.